People love their Smartphones and find more to do with them than PCs or Tablets. Around the world, there are few activities done with PCs as regularly as are done with Smartphones. 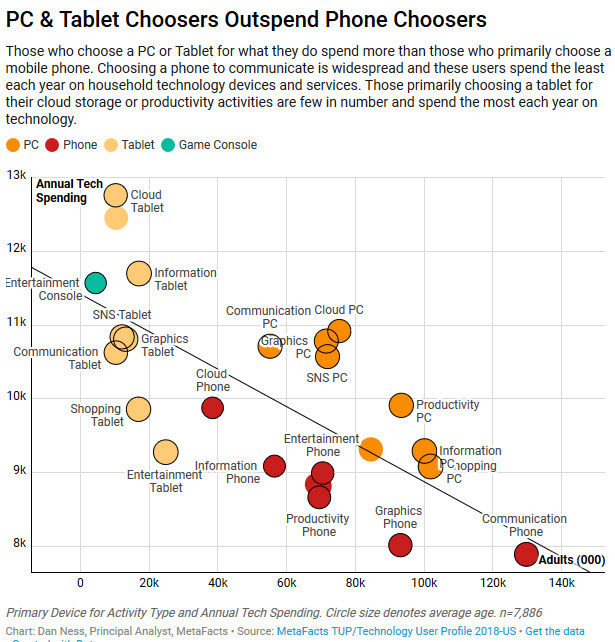 Furthermore, there are no activities done more so on Tablets than on either Smartphones or PCs. Usage profiles vary somewhat by country. Online adults in the U.S. use their connected devices differently than users in many other countries. 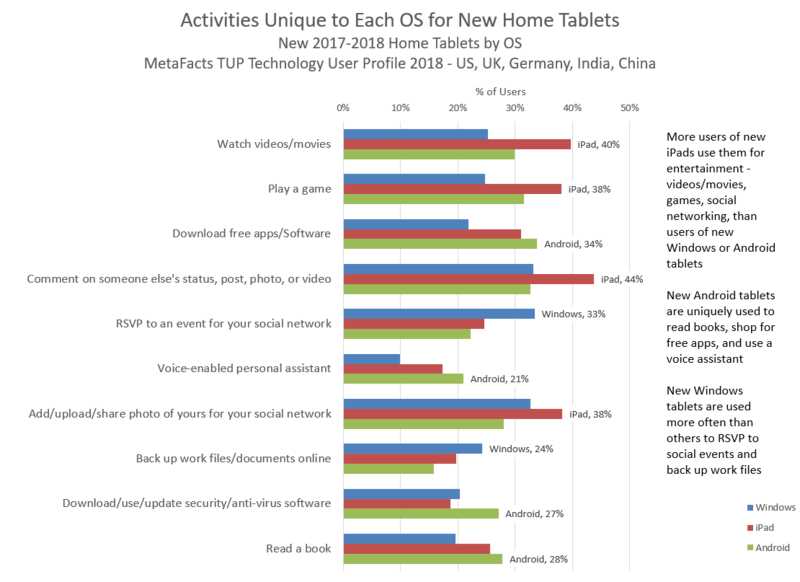 These findings are based on the TUP/Technology User Profile 2018 study of 14,273 online adults in the US, UK, Germany, India, and China. 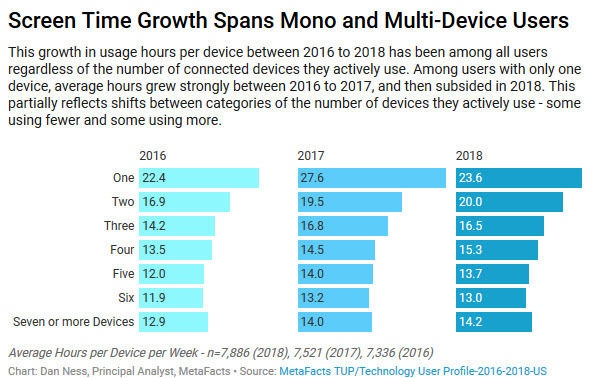 Of the more-than 70 activities in the TUP survey tied to each device, we identified those with the widest range of regular use across devices – defined as the difference between the maximum and minimum usage level between Smartphone, PC, and Tablet users. The versatility of smartphones is shown by how much more often they’re the device of choice for nearly every type of activity, from shopping to social networking and fun. The range of activity use is as high as 65% – in the case of making and receiving personal phone calls. Smartphones are being used the most widely for device-unique activities. The four major activities for smartphones – personal phone calls, taking pictures, text messaging, and storing one’s contacts – are infrequently done on a PC or Tablet. Although the newest tablets have cameras that approach the quality of those on Smartphones, less than a quarter (22%) are being used to take pictures. Also, despite being able to run apps such as WhatsApp or WeChat on Tablets or PCs, phone calls are primarily on Smartphones, even while personal video calls have made inroads on non-phone devices. PCs are mostly being used for email (personal or work), online shopping (bigger screens entice buyers), and online banking. Tablets are mostly being used for social networking and music listening. There is a small amount of crossover of activity usage across devices. Two of the major activities for Smartphones are also leading ones on Tablets – adding photos to social media and commenting on other’s images or comments. American adults use their devices somewhat differently than users in other countries. In addition to personal and work email, PCs are used more often than Smartphones or Tablets for shopping, banking, finances/accounting, and writing. Tablets are being used more like PCs than Smartphones. 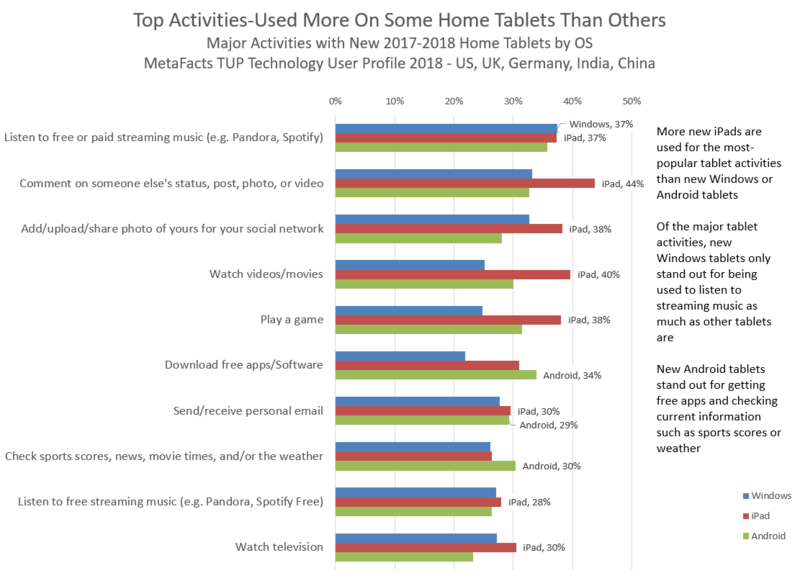 The major activities for Tablets, although with smaller percentages than PCs, are also among the major activities for PCs. Also, in the US, UK, and Germany, Tablets are used more often than either PCs or Smartphones for reading a book and making small purchases in person, such as in a coffee shop. 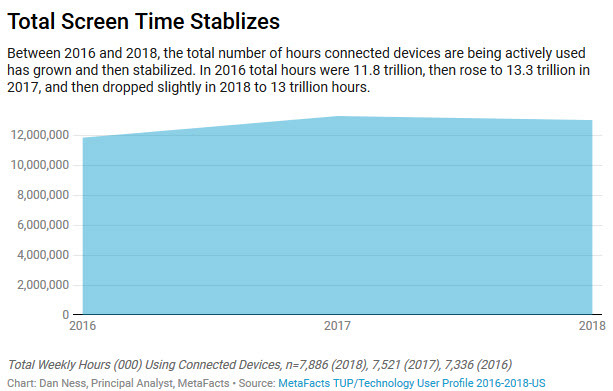 Smartphones aren’t the only connected device users actively use. There are many activities used at a higher rate on PCs than on Smartphones are tablets. 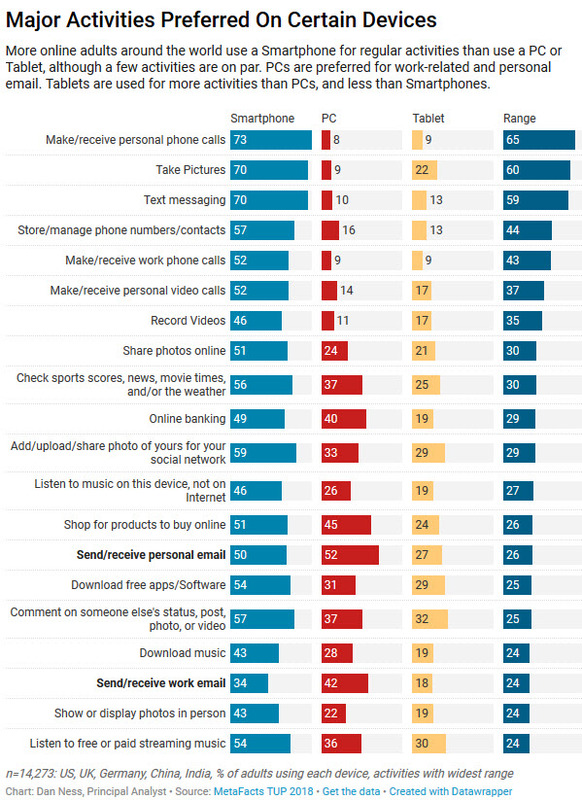 Sending and checking both personal and work email are high on the list across all of the countries surveyed except for India. Also, writing and managing text documents is a PC-preferred activity except in India. In Germany, writing documents is an especially PC-dominant activity. Also, activities relating to using a printer are strongest when using a PC. Habits change slowly. Not only do people find effective ways to use connected devices to do what they want, they also show inertia when slowly moving those activities to a different device. 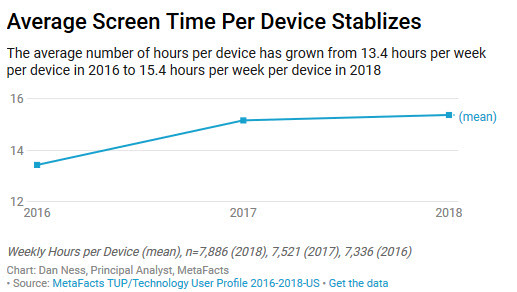 Even those users who have multiple devices continue to use the types of devices they had previously for some time before fully embracing a type of device new to them. Furthermore, there isn’t a single “silver bullet” device that’s preferred for all activities. For some activities, such as reading a book, shopping, or watching television, having a larger display helps. For other activities, such as receiving phone calls or texting, convenience and mobility are key. We don’t expect the majority of users to concentrate all of their activities on a single device in the near future. Instead, the multi-device experience will continue. PCs may continue to lose their dominance for the many activities they still dominate. 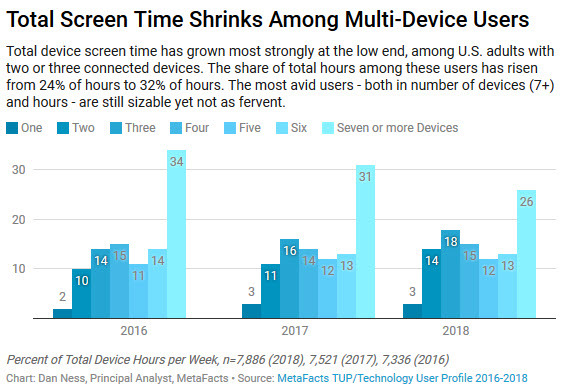 Dedicated PC users may just move more of their attention to tablets, especially those focused on passive activities such as social networking or television watching. The analysis in this TUPdate is based on results drawn from the most-recent wave of TUP (Technology User Profile), the 2018 edition which is TUP’s 36th continuous wave. This survey-based study details the use of technology products by a carefully-selected and weighted set of respondents drawn to represent online adults. This specific wave spanned the US, UK, Germany, India, and China. From the installed base we focused in on online adults and how they use a Smartphone, PC, or Tablet. While pundits puzzle and debate, consumers lead the way. Is an iPad a computer, have smartphones replaced other mobile devices, and are PCs dead? Consumers continue to find their own ways and use what they choose, defying definitions, headlines and experts. 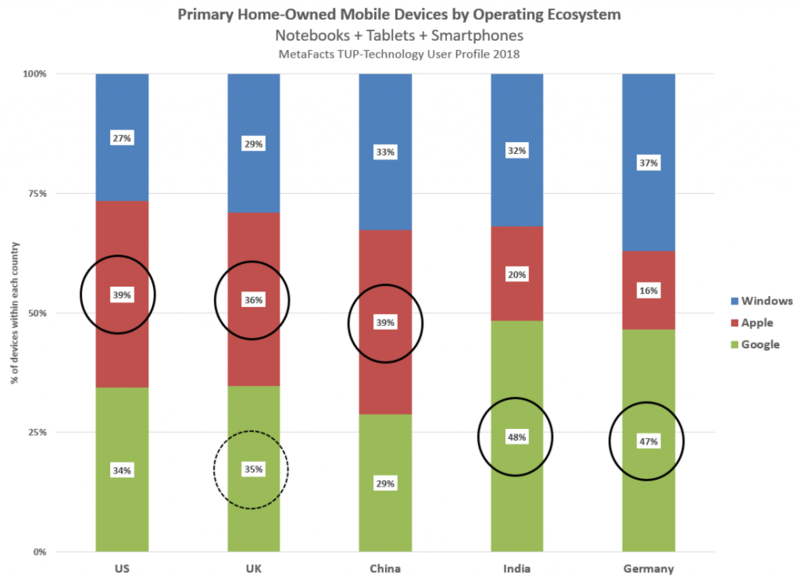 From among three dominant operating system ecosystems and three main types of mobile devices, home consumers have found their favorites. 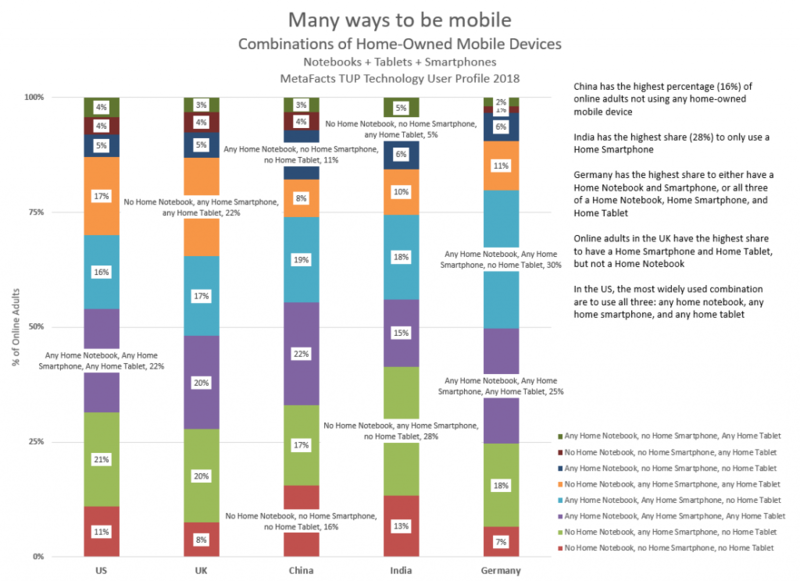 In the US and China, Apple’s home mobile devices – smartphones, notebooks, and tablets – outnumber those using Windows or either Google Android or Chrome. In the UK, Apple and Google are effectively tied in outnumbering Windows on mobile devices. This is based on the latest results from the MetaFacts TUP (Technology User Profile) 2018 study, its 36th annual wave. There are many ways to be mobile for the many who choose to be. Nearly all online adults use some combination of a home smartphone, home notebook, or home tablet. In the UK and Germany, only 8% and 7%, respectively, don’t use any of the three. In China, nearly one in six (16%) online adults aren’t using one of these three home-owned mobile devices. Each country has its own preferred combination. In India, having simply a smartphone is the most prevalent combination, representing 28% of adults online in India. In other countries, this share is nearer to one in five adults. Germany stands out for having more users concentrated on two combinations than in other countries. Almost a third (30%) of online adults in Germany use a home notebook and home smartphone, and no home tablet. Another 25% also use a home notebook and home smartphone in addition to a home tablet. Online adults in the UK are distinguished by having a larger-than-average share (22%) using a home smartphone, home tablet and no home notebook. The US (17%) is closest to the UK with this pairing, and this combination is much less popular in Germany (11%), India (10%), and China (8%). While smartphones are being included among the devices of mobile adults, there is no single second device – notebook or tablet – paired with the smartphone. In Germany, the smartphone-notebook combination is being used by the largest number (55%) of online adults. The use of smartphones and tablets is smaller (36%) although still higher than among online adults in China or India. 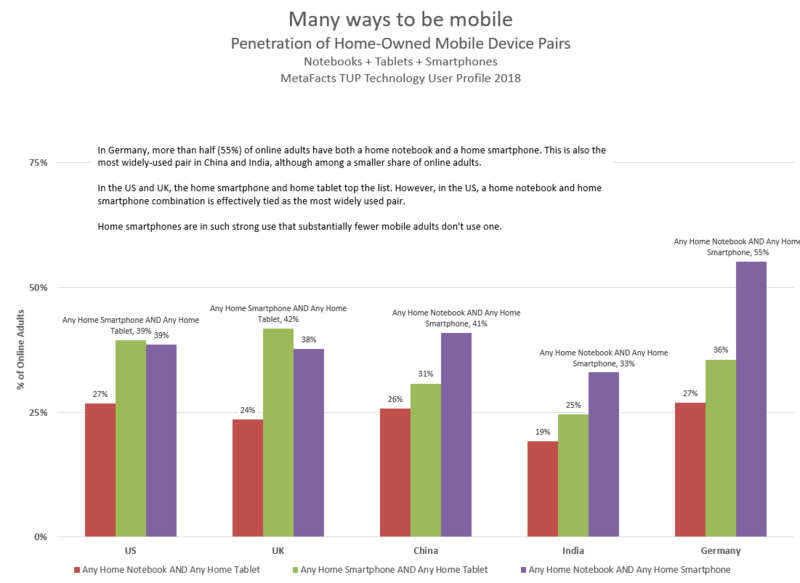 In India and China, the highest penetration pair is for smartphones and notebooks, in the hands of 41% of online adults in China and 33% of online adults in India. The use of smartphones and tablets is somewhat less, at 31% of online adults in China and 25% of online adults in India. 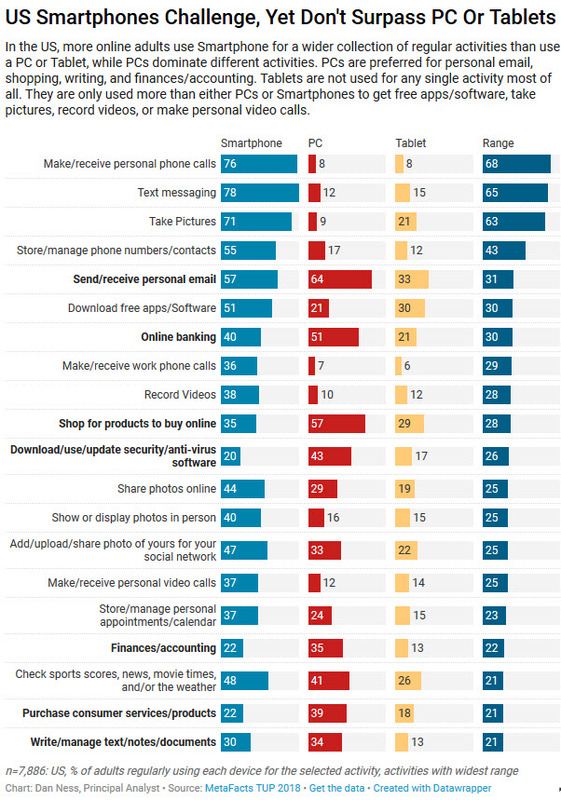 Online adults in the US and UK have different preferences. The most popular pair is a smartphone and tablet, actively used by 42% of online adults in the UK and 39% in the US. And in the US, as many online adults (39%) use a smartphone and notebook pair. In the coming year, the partially-mobile are eager to become more mobile in one way or another. Purchase plans are strong for consumers to complete the set of smartphone, tablet, and notebook. Overall, smartphones are the strongest device of interest. 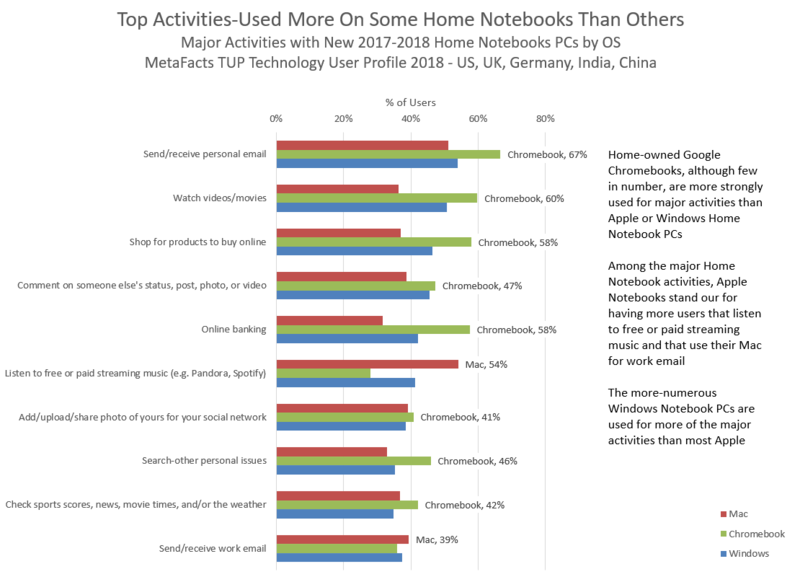 Smartphone purchase plans are especially strong among those online adults that are already using a home notebook and tablet. Plans are strong, although less so, among those who are only using a home tablet. Notebook purchase plans are also strong. They are strongest among those who are only using a home tablet. They are also strong among those who aren’t using any of these mobile devices, and for this group, notebook plans are slightly higher than their plans for a smartphone or tablet. Purchase plans for tablets are lower than those for smartphones or notebooks. The strongest plans almost paint the picture of tablets as an entry-level mobile device, as they’re strongest among online adults who aren’t already using a smartphone, tablet, or notebook. 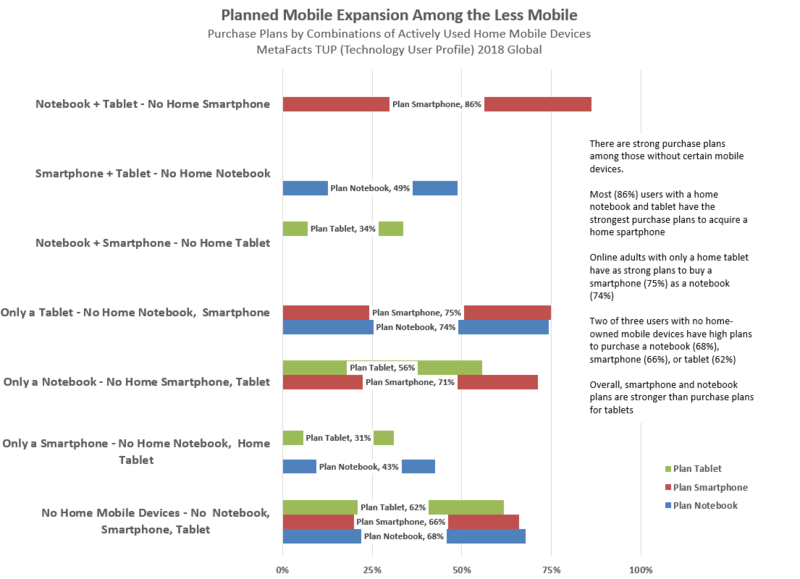 Plans are almost as strong among those only using a notebook, although plans for tablets lag behind plans for smartphones. For those only using a home smartphone, purchase plans are lowest for either a tablet or notebook. Mobility means many things to consumers – freedom, ease of use, and the ability to do as they’d like, whenever and wherever they’d like. An internet connection is a vital part of mobility. Mobile device makers have been extending the mobile connection with mobile devices having built-in LTE/cellular capabilities, especially tablets. So far, consumers haven’t fully embraced extending their cellular subscriptions. When they’re less connected, they’re staying nearer to familiar Wi-Fi connections, using a portable hotspot or tethered connection, or reaching for their smartphones. Another aspect of true mobility is usefulness, and users enjoy some activities more on notebooks or tablets than on smartphones which generally have smaller screens or that don’t have key applications. In other analysis we profile which activities users choose for their smartphones and which they choose for their notebooks or tablets. Above all, users are continuing to choose between the many mobile offerings and haven’t settled on a single form factor or combination of mobile devices. Mobility in whatever form will continue to reach an ever-broader number of online adults.